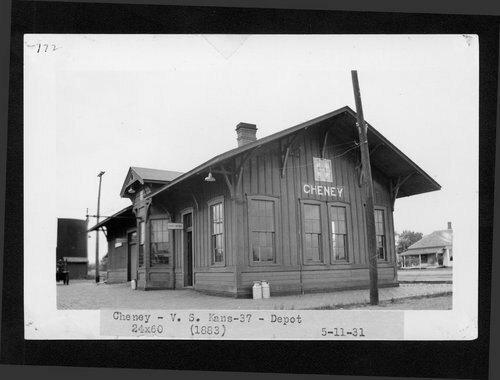 This photograph shows the Atchison, Topeka and Santa Fe Railway Company depot at Cheney, Kansas. The depot was built in 1883 and measured 24'x60'. The one-story wooden structure with batten siding still stands has been refurbished and moved to the Souders Historical Museum in Cheney, Kansas.